Most regulars at the Gippsland branch would know that Sharyn Thompson’s girl Kali is a Dogs Vic Accredited Therapy Dog. 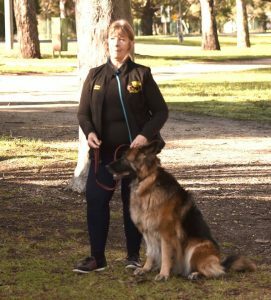 Sharyn and Kali specialise in working with people who have a disability and doing this important work is more than a community service it is a passion for Sharyn and her dogs. 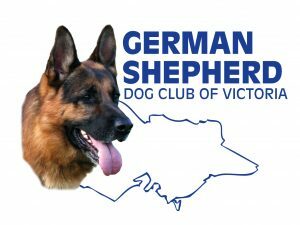 To continue their great work helping the community, Sharyn and Kali and Sharyn’s other dog Shadow will be taking part in the PAWGUST 2018 challenge and would really appreciate the support of the German Shepherd Dog community. The PAWGUST challenge raises funds for guide dogs to assist people with vision difficulties. In return for your (tax deductable) donation Sharyn and her dogs will walk a minimum 30 minutes a day every day for the month of August rain hail or shine. So it’s time to rummage through centre console of the car, smash open the piggy bank and bravely look under the cushions on the couch (you never know what you’ll find in there) to find that spare change and contribute to a very worthy cause. Every little bit helps.